The carbonated crusaders behind Q Tonic, Q Ginger and Q Club announce the nationwide release of its spectacular ginger beer: Q Ginger Beer. Crafted to fill a void in the rapidly growing premium craft mixer market, Q Ginger Beer is the perfect match for top shelf spirits. 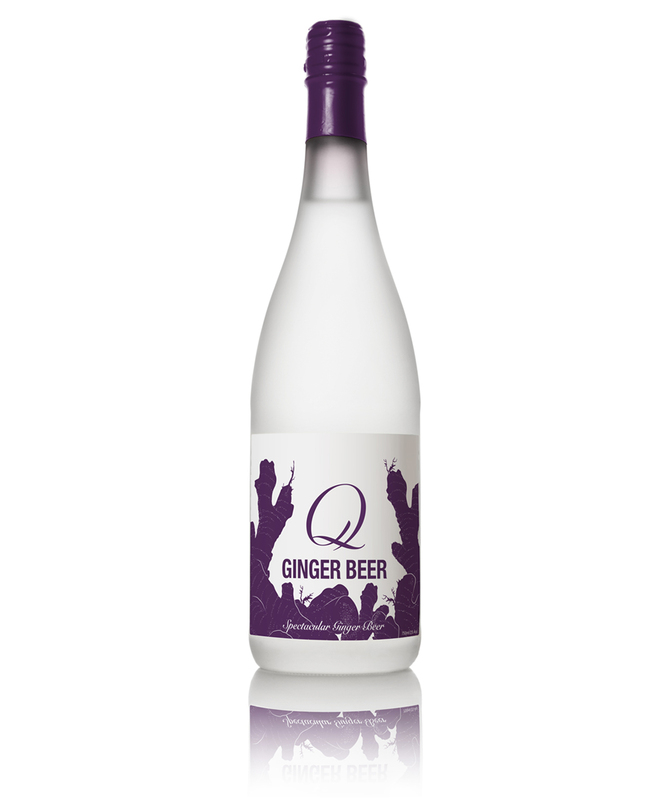 Q Ginger Beer is spicier, more carbonated and less sweet than other ginger beers. It is made with all-natural ingredients, including tons of real ginger, a dash of organic agave, coriander, cardamom and lime. Silbert created Q Drinks to make cocktails taste better with superior cocktail sodas, which often make up 2/3 of the drink. To highlight the superiority of its new flavor, Q Ginger Beer, Q Drinks developed several cocktails, including a spin on the classic Moscow Mule with a tribute to the brand’s Brooklyn roots, the Brighton Beach Mule. Fill tall glass with ice – if you want to get extra fancy, use a copper mug. Add vodka and squeeze the lime over it. Drop the lime in the glass and add the Q Ginger Beer. Stir to mix and garnish with a lime wedge. Q Ginger Beer contains 90 calories, 22 grams of sugar and 0 grams of total fat. A four pack of 9oz glass bottles retails for $7.99, a 750mL bottle retails for $6.99 and a four pack of 12oz slim cans for $5.99. The Q Drinks collection, which features 8 different flavor of spectacular sodas, including Q Club, Q Ginger Ale, Q Grapefruit, Q Kola, Q Lemon, Q Orange, Q Tonic and the newest addition, Q Ginger Beer, is available in many of America’s best restaurants and cocktail lounges. It is also available at BevMo, Target, Total Wine and other various nationwide retailers. For a full list of retailers and additional information on the entire Q Drinks collection, please visit QDrinks.com. Q Drinks makes the world’s best cocktail sodas – clean, crisp, completely unique beverages that enhance the finest spirits. Jordan Silbert founded Q Drinks one warm summer night in Brooklyn after drinking good gin with great friends and lousy tonic water. He took to his own kitchen to make something much better – cocktail sodas that he would be excited to mix in his drinks and proud to serve his friends. Today Q Drinks makes spectacular sodas in 8 different flavors. Q Drinks crafts its sodas with a) much better ingredients, b) far less sugar/calories, and c) the belief that cocktail sodas can be as great as the best craft beers. Credit: Press release provided courtesy of Q Drinks and representatives of the brand.